This topic contains 4 replies, has 3 voices, and was last updated by Dominique C 3 years, 10 months ago. Please find an image taken below of some Typha with several things growing on it. For starters, has anyone got any idea what the small black spots (species A) could be? I have had a look in Ellis and Ellis but not turned up anything that matches. Any help/suggestions appreciated. 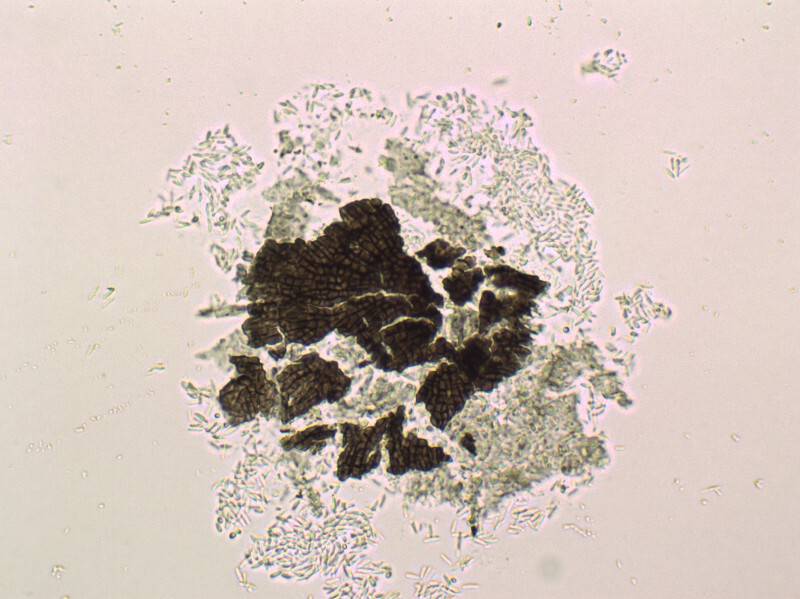 Species B: The larger black spots produced the following coloured spores – Me = 12.9 x 3.5 µm ; Qe = 3.7. Likewise, any suggestions appreciated. 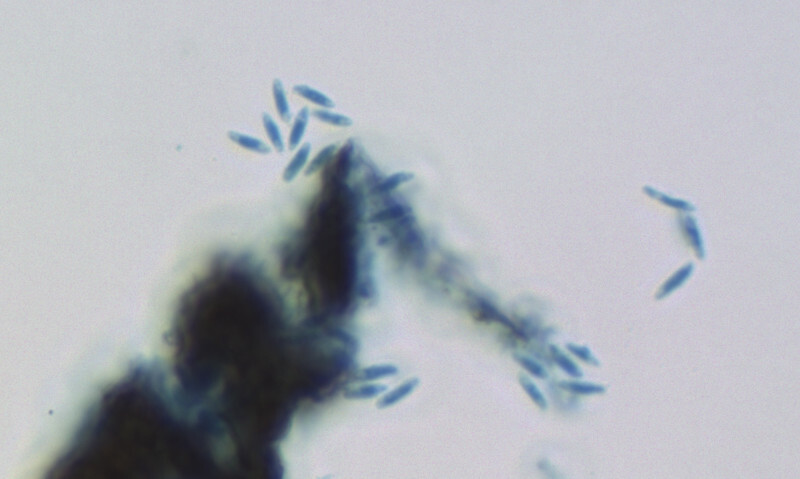 …also, can we assume these spores are hyaline and not black (ish)? Below is a comment from CA – thanks. “However, the larger one is a bit more distinctive in having pigmented spores and looks like it might be an Anthostomella. I had a look in Ellis and Ellis and it mentions A. limitata but the spore shape looks wrong. 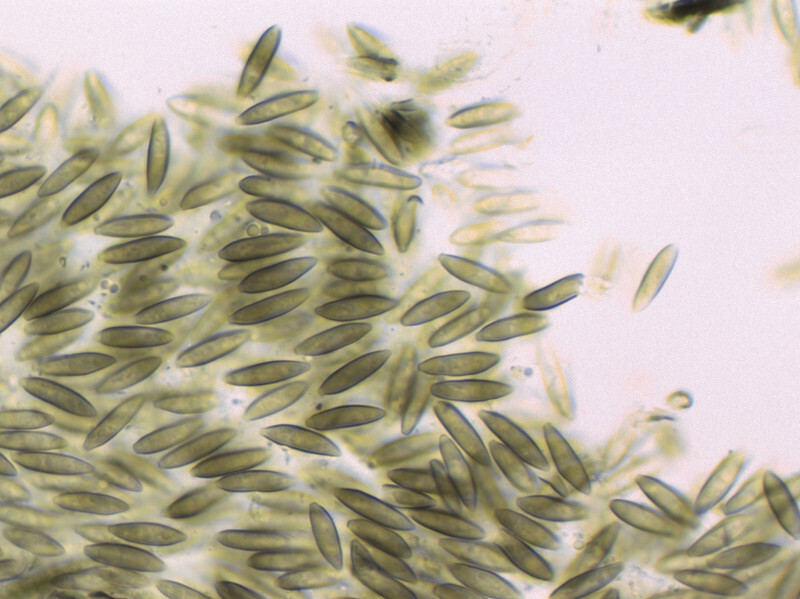 You’re then have the task of checking all the other Anthostomellas (or allied genera) to see which one fits best. 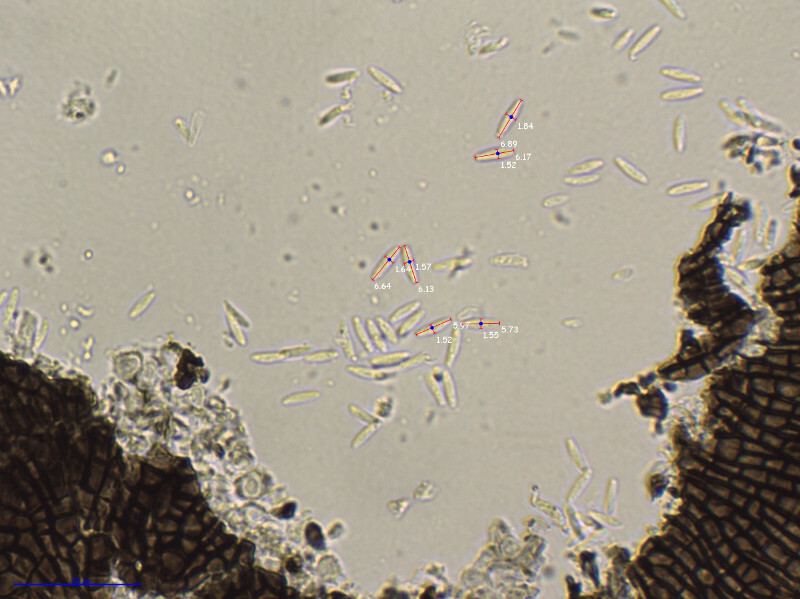 Hi John, thank you for your time, effort and the great spore pics plus associated info. As discussed, Hymenopsis typhae in E&E fits the larger of the two species very well. 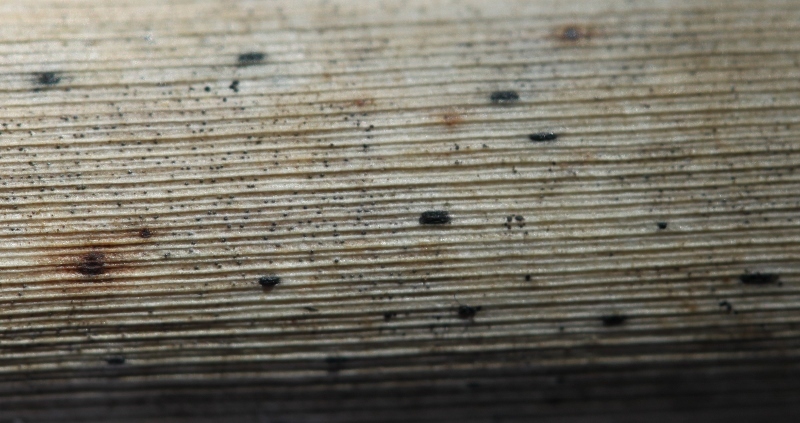 Your link http://www.asturnatura.com/fotografia/setas-hongos/hymenopsis-typhae-fuckel-sacc/4401.html shows examples which have not ‘opened’. This link http://www.ascofrance.com/recolte/2558/coelomycetes-hymenopsis-typhae is a little more in keeping with the illustration in E&E and the pics below. All of the references are consistent when it comes to the conidia. First pic shows examples yet to ‘open’, the second some ‘open’ with a ‘groove’. This collection was made July 13th 2014 just north of Newton Stewart NX4068 VC73 (first Scottish record?). Unless someone wishes to make another suggestion I am inclined to record it as Hymenopsis typhae. Only 24 records in BMS database and 10 on CATE2 (mostly recorded by the Ellis family), neither has a record for Scotland (how fortuitous you mentioned the asco course)! I haven’t given up on the little one yet.